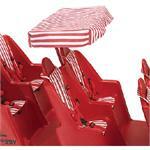 The Gaggle®4 Roof is available in four stylish colors. The Gaggle® Buggy is the greatest advancement in children’s buggies in the last 30 years. Roof is sold separately. Foundations Sport 3-Passenger Strollers - FREE SHIPPING! 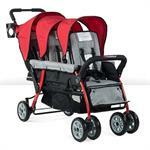 Sport™ Splash strollers are the value leader in multi child strollers. Available in Red, Lime, and Orange Colors! 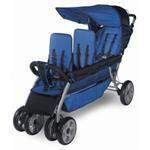 Sport™ Splash Trio strollers are the value leader in multichild strollers. Available in Red, Lime, and Orange! Foundations LX3 3-Passenger Stroller 4130037 FREE SHIPPING! 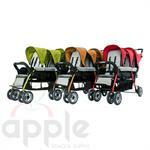 LX™ strollers are the most comfortable, durable, and convenient multichild strollers available. Available in Earthscape and Regatta colors.